Count on the Toyota Tundra to deliver all the power and versatility you would expect from a full-size pickup. Toyota has a proven reputation for long-lasting build quality, with over 90% of Tundras sold in the last 15 years still on the road today*. Tundra offers the choice between the efficient 4.6 liter V8 or the hefty 5.7 V8 with 381 horsepower. Premium available features include perforated leather-trimmed, heated and ventilated front bucket seats, power tilt/slide moonroof, and 20 inch alloy wheels. Stay connected with the optional Entune™ Premium JBL® Audio with Integrated Navigation and App Suite. Experience the massive 10,500 pound towing capacity while maintaining control thanks to the Integrated Trailer Brake Controller. Enjoy peace of mind thanks to the standard Toyota Star Safety System™ suite of six safety features. Lifetime Drive Train Protection for as long as you own the vehicle. Price Includes Toyota Care. ToyotaCare is a no cost maintenance plan with 24-hour roadside assistance. The ToyotaCare plan covers normal factory scheduled service for 2 years or 25,000 miles, whichever comes first1. 24-hour roadside assistance is also included for 2 years, regardless of mileage. 1Covers normal factory scheduled service for 2 years or 25,000 miles, whichever comes first. 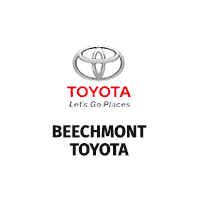 See your Toyota dealer for details and exclusions. Valid only in the continental U.S. And Alaska. Midnight Black 2019 Toyota Tundra TRD Pro CrewMax 4WD 6-Speed Automatic Electronic i-Force 5.7L V8 DOHC 32V LEVRecent Arrival!